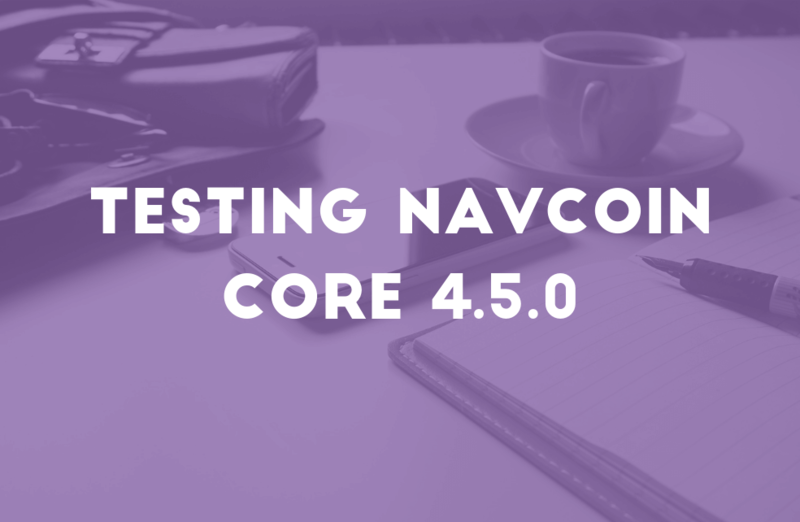 Last week Core developers began testing new features that are planned to be included the upcoming NavCoin Core 4.5.0 update - the soft forks for cold staking and static rewards. This has entailed manual testing of all the features, and writing automated tests that can be run any time code changes are made - to verify that existing functionality still works. Marcus has been testing cold staking using a specially modified NavCoin Core client to try and exploit potential bugs in the consensus mechanism. So far these tests have all failed to find any issues with cold staking. Developers are also working on a user interface for the NavCoin Community Fund that will be built into the NavCoin Core wallet. It is intended that this will give stakers an easy way to vote for proposals - as easy as clicking a button. From a shortlist of candidates, two developer interns have been selected to join the core team in Auckland. They are expected to start next week, and will be helping out the Core team on a wide range of tasks that will give them practical experience and rapidly increase their blockchain dev skills. Spiritar3 has created a survey to get your opinion on the NavCoin community, including any ideas you have to improve community engagement - so please fill it out with your feedback, it will be a huge help! We know community feedback is important, so we’ve put together a community-driven survey! 🙌 Thank you to everyone who already filled out the form and if you haven’t yet, follow the link below! With the activation of the community fund, if you’re staking the network then make sure you’re voting on proposals! There are now 11 proposals being voted on, and they require a minimum of 50% participate to be accepted into the network. So check out the Community Fund platform to see all the proposals and get voting! Need help with Community Fund voting? To address some of the discussion points that have been appearing on Discord and Reddit about voting for proposals submitted to the Community Fund, community member siflu (on Discord) has written this handy guide on how to vote for proposals. His aim was to clear up some of the confusion and make it easier for stakers to vote on the exciting projects being submitted for funding. If you want to use the Collab site to post your own Community Fund project ideas for discussion and help other community members with their projects, you need to register and make your profile. It’s easy and only takes a moment.